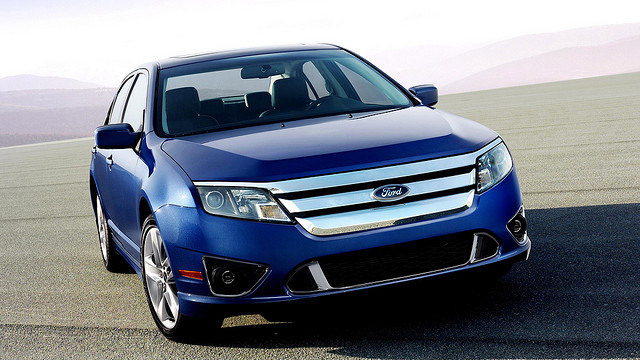 John’s Automotive Care is the best choice for Ford service in San Diego. In fact, we are the NAPA/ASE Technician of the Year. Chosen from auto repair shops throughout the nation, we are honored to have earned such an esteemed award. When you bring your Ford into our shop for service, we hope to show you why and how we have earned such recognition. Your schedule is busy enough as it is, which is why the team at John’s Automotives tries their best to ensure your day will go uninterrupted. While your Ford is being inspected and serviced by our ASE-Certified or Master-Certified auto mechanics, we encourage you to utilize our shuttle service or rentals cars offered at a discounted rate. You are more than welcome to sit back and relax in our clean and comfortable lobby. We offer several amenities, including WiFi, a play area, snacks, and beverages. You can send an email, enjoy a snack, and even give your pup a doggie treat. Ford owners, like you, know they can rely on receive stellar auto repair and customer service at John’s Automotive Care. Our highly-qualified and trained auto mechanics are leaders in the automotive industry. Our team consistently earns fantastic reviews and testimonials from satisfied clients and takes great pride that clients choose us as their leading auto repair service center. We hope that you choose us as your premier car repair service center, too. To schedule an appointment for your Ford auto repair service, call us at (619) 304-0815. Visit John’s Automotive Care at 6267 Riverdale Street, San Diego, CA 92120.